Looking "where to sell my 1989-2000 Aston Martin Vantage?" Ask the Chicago Car Club! Are you wondering "where to sell my 1989-2000 Aston Martin Vantage ?" 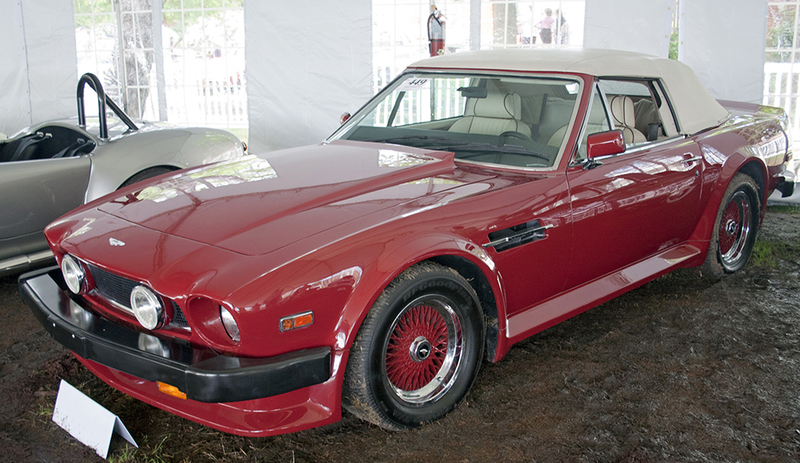 The Chicago Car Club is interested in classic cars of all makes and models, especially a 1989-2000 Aston Martin Vantage. We make the process of selling your 1989-2000 Aston Martin Vantage quick and painless. In just a matter of hours we will have your classic valued and, if you do so choose, turned into money in your pocket. All it takes is a phone call or electronic inquiry to get the ball rolling. The Aston Martin Vantage was a performance version of their Virage model that was produced between 1989 and 2000. It was built during the time when Aston Martin was owned by the American car maker Ford, and part of their Premium Auto Group. Its body design was inspired by the Lagonda and it had an American muscle car look. It was a large 4 seat coupe that some consider to be the first British supercar. The Vantage was well equipped with a 5.3 liter, twin supercharged engine that could produce a massive 550 hp and 550 ft/lbs of torque. It was quite heavy however, weighing in at a hefty 4,850 lbs. The engine was still powerful enough to push the car to a very respectable 186 mph. The entry level Vantage was called simply the V8 Coupe. It had a supercharged V8 engine capable of producing 350 hp and 369 lb-ft of torque. It did not meet US emissions standards and therefore was only available in European and Middle Eastern Markets. The last 40 Vantage cars produced were in tribute to the Aston DBR1 win at the 24 Hours of Le Mans race in 1959. These were given the V600 designation in reference to the 600 hp that its V8 engine could produce. It was one of the fastest cars in Aston Martin history. It had a 0-60 mph of a mere 4 seconds and a top speed of 322 kph or 200 mph.